Finally, a new post! I haven't been an active blogger lately. Remember when I said I had 'lots of blog material?'. I think we can all say that was a big lie. Today, though, decided to do a little update post to tell you what I've been up to! 2017 has been a good year so far in terms of style. I'm finally feeling like I'm developing my own style and it's a great feeling! 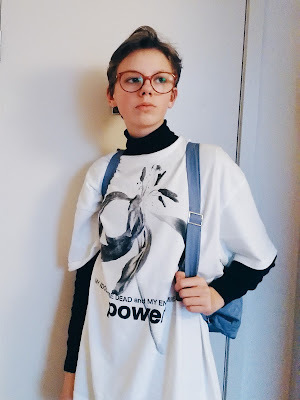 I'm trying to go for the 'modern and androgynous street style look™'. Think bomberjackets, graphic tees, hoodies and leather belts. 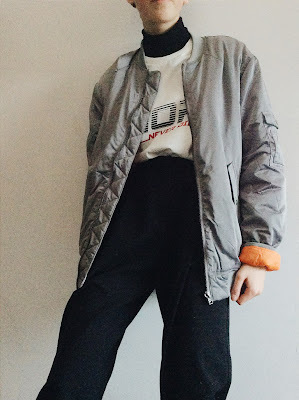 I've been taking lots of inspiration from fashion week street style and brands like Weekday. So yeah, I'm just leaving these pictures here, on the internet, for everyone to see, so I can get an idea of my current style... I think blogging is kind of scary sometimes! The graphic tees I'm wearing are from Weekday. 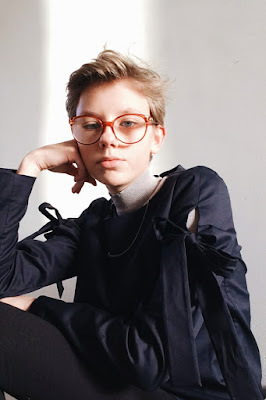 My black turtleneck, the blue backpack and the dark blue top are from COS. 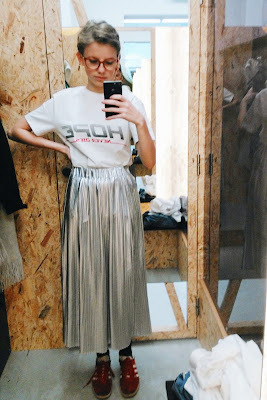 I got the silver skirt at H&M. Also, I did something new with my hair! I've been wearing it like this since new year's eve. I felt like my other haircut was getting kind of boring and I was sick of how it looked, so now I just comb it backwards and put some wax in it. I love it a lot like this actually! I haven't been up to anything else lately. I just go to school, come on and watch series in bed. I bought a pair of sweatpants with a matching hoodie a few weeks ago and I think I might wear it for months and months until people won't talk to me anymore because I have become a sweatpants-wearing zombie.